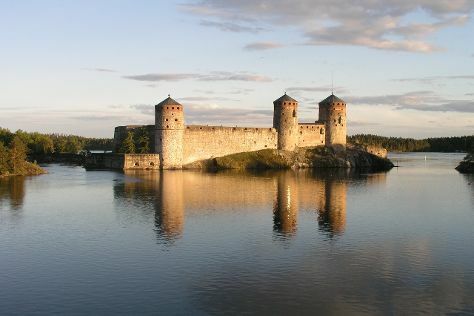 Change things up with these side-trips from Savonlinna: Lappeenranta (Saimaa Canal, Lappeenranta Fortress, & more), The Parikkala Sculpture Park (in Parikkala) and Imatra Waterfall (in Imatra). Spend the 17th (Fri) exploring nature at Linnansaari National Park. There's much more to do: step into the grandiose world of Olavinlinna Castle, examine the collection at Lusto - The Finnish Forest Museum, contemplate in the serene atmosphere at Kerimaki Church, and take in nature's colorful creations at Botania - Botanical Garden and Tropical Butterfly Garden. For ratings, photos, maps, and more tourist information, you can read our Savonlinna journey builder app . In May, plan for daily highs up to 59°F, and evening lows to 39°F. Wrap up your sightseeing on the 17th (Fri) early enough to travel back home.